She struggled with doubt and melancholy for years. Despite a wholehearted commitment to serve Jesus in the most difficult situations one could possibly find on earth, she went years without hearing from God and at times wrote in her journal that she even wondered about His existence. 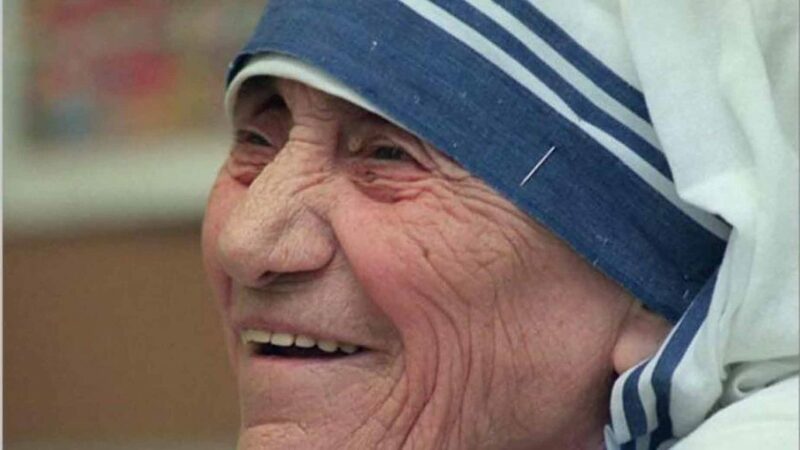 Yet Mother Teresa never gave up her faith, despite her depression, God’s perceived silence, and her doubt over whether he saw her every day as she followed His command to care for His most destitute children. As I listened to a radio talk show host and her guest discuss Mother Teresa’s struggles with her faith, I felt even more respect and awe for how she lived her life. She may have doubted God, but ultimately she never stopped believing in Him, as she continued to serve Him for more than five decades. She lived a life none of us would ever choose, through years of doubt and years of darkness, years of questions without answers about His plans and His love for her. I wrestle with how she did it. If she felt, as she penned in her journal, “the place of God in my soul is blank—There is no God in me,” then there had to be only one thing that kept her committed to the work she believed He called her to: hope. Hope that His every promise in her well-worn Bible was true. Hope that the silence was something birthed on her side of the relationship, not His. Hope that one day she’d hear His voice again. Hope that He would show His face and love and mercy to the people she served every day and, one day, again to her. I think about all the things I hope for, all the things most women hope for, and realize the list is endless. We hope nothing bad ever happens to our children and that our husbands will always love us well, or that someday we’ll have a husband and children. We hope for cancer to be cured so we stop losing people we love. We hope our teenagers make wise decisions, for our dreams to come true for our calling and creativity and passions. We hope our nation stays safe and that somehow every child in the world will have enough to eat today. We can’t live without hope. But hope doesn’t really start with us; it starts with God. He is the one who promises to always love us, never leave us, be strong when we are weak, provide direction when we are lost and wisdom whenever we ask for it. Our hope has to be in Him, the author of hope. Mother Teresa made a vow in 1942 to never refuse Jesus anything He asked of her. She fulfilled that vow. She trusted him, believed in Him, believed Him even when her own emotions ran contrary to that trust and belief. She heard His voice over her own during her 50+ years of selfless service to others in desperate need of knowing that they were as loved by God as she was. Over time, a spiritual adviser helped Mother Teresa realize that her feelings of abandonment only increased her understanding of the people she helped. Ultimately, she identified her suffering with that of Jesus, which helped her to accept it. So, like Mother Teresa, we suffer. We sometimes feel alone, abandoned, hungry for His voice. We have what we might call our “faithless days,” when we doubt. But like her, we continue to hope in God and not in ourselves. Ultimately, she identified her suffering with that of Jesus, which helped her to accept it. God hasn’t called me to be successful. He’s called me to be faithful. Pain and suffering have come into your life, but remember pain, sorrow, suffering are but the kiss of Jesus—a sign that you have come so close to Him that He can kiss you. We need to find God, and he cannot be found in noise and restlessness. God is the friend of silence. See how nature—trees, flowers, grass—grows in silence; see the stars, the moon and the sun, how they move in silence… We need silence to be able to touch souls. So, if you’re in a season of life that seems bleak and void of God’s presence—don’t give up or believe the lie that He has failed you. He is all around you, in control of all things, and working for your good and His glory. You’ll also like Spiritual Spanx, Battered Faith, and Grieving What Should Have Been.